A vehicle as unique as its driver requires more than a basic Auto policy. Make sure your collector car is protected. Locally owned and operated since 1986, Jim Kelly Insurance delivers quality insurance solutions to individuals and businesses in Illinois and Wisconsin. 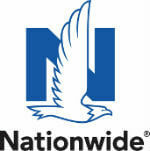 We specialize in Home, Auto, Life and Business insurance coverage. We are also experts at writing Collector Car insurance and Contractors insurance. We're heavily involved with our community and keep up to date on insurance seminars. Our team of experienced insurance professionals is committed to helping you find a policy that fits your needs. We focus on providing individualized attention and quality customer service to create an experience that’s difficult to find in today’s market. At Jim Kelly Insurance, we’ll work with you to ensure that you and those you care about most are protected. Proudly serving Libertyville, IL, Gurnee, IL, Mundelein, IL, Lake Villa, IL, Grayslake, IL, Waukegan, IL, and surrounding areas. Licensed in IL, WI and more.